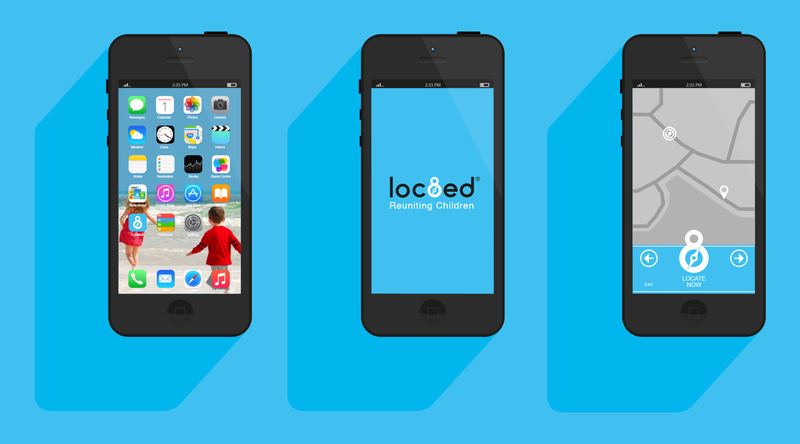 Loc8ed is company that was started with an idea of providing a location App for children at seaside and family attraction resorts throughout the UK. Loc8ed were after a brand identity which incorporated some kind of logo that represented location. After the development of a few ideas, one of which was concentric circles representing sonar, I settled on the idea of a compass incorporated in the ‘8’.